American General. David Petraeus has reached Afghanistan as the new Army Commander in Afghanistan this Friday. After Resign of General Mcchrystal due to his statements against American officials General. 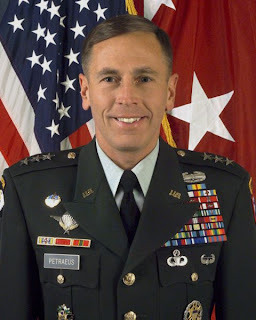 David Petraeus is made new Army Commander in Afghanistan by American President Barack Obama. General. David Petraeus has said after taking Responsibility of New Commander that we will not let Taliban get stronger. He also called for unity in the civilian and military efforts to change conditions in Afghanistan. General. David Petraeus has taken over in Afghanistan when the Violence and killings of Foreign Forces are increasing.